From the sleeve to the title and back to the music, everything about this album is an ode to the hard rock of the 70's. 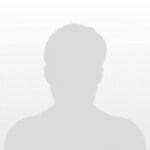 Huge, solid and impenetrable, it has already gained its right place in the time machine. I've never been a fan of Black Mountain, but they really tried to do something different here. This album is bad, and yet, it's their best record. 'Cemetery Breeding' is probably the band's best song, it's a pitty they buried it amidst so many normal songs. Six years between two studio albums, Black Mountain has gone from pummeling hard hitting crunchy psych rock to and more melancholy, transcending tone. It poses for one of the most capitivating albums of the year and reminds you that music can take you on a journey. Final track was a little underwhelming to me, Constellations went on for a little too long imo & the pacing of the album felt a little off to me. Besides that, the music on this album is really enjoyable and very well composed. Some of the guitar grooves here are really catchy to me, and I thought the song Cemetary Breeding was excellent from a songwriting standpoint. Great record overall, lyrically it's pretty solid too, I approve. 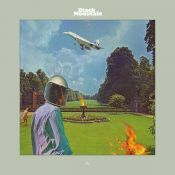 Black Mountain return with a more subtle, settled-down version of the band they once were. That's not to say that the group isn't effective on IV, though. The unnusual blend of stoner-rock riffs with retro sci-fi synths produces an interesting sound that is quite successfully explored by them here, with as much rock strenght as formal experimentation. The result is a rather fun and accessible experience that shows a matured band that is willing to incorporate more weapons to their fare.